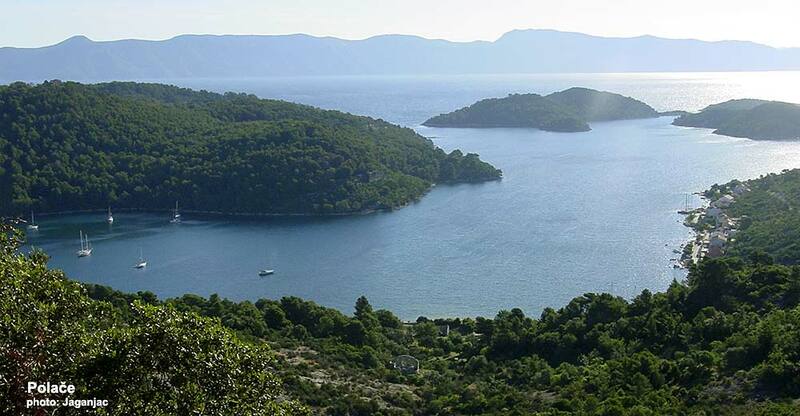 Polace, village in the western part of the northern coast of the island of Mljet. It is the largest and the safest bay on the whole Island, as it is secluded and sheltered by 4 small islands Tajnik, Moračnik, Ovrata and Kobrava. Due to its sheltered position, the bay is very popular among sailors and yachtsman to do their anchorage there. The bay itself is 5.6 km long and about 4 km wide. 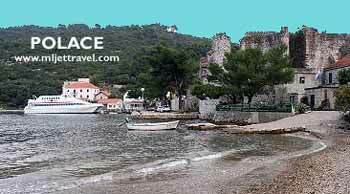 Polace is also one of the ferry ports on Mljet. The village has just over one hundred permanent inhabitants. It has couple of restaurants and cafes, as well as a shop for basic provisions. The village has a number of ancient ruins dating from the 1st to the 6th centuries. However, of greatest significance is the Roman palace hence the name “Polace” from 5th century whose walls dominates the village. This is one of the largest buildings in Dalmatia from the Roman period. Polace is pronounced Polache.